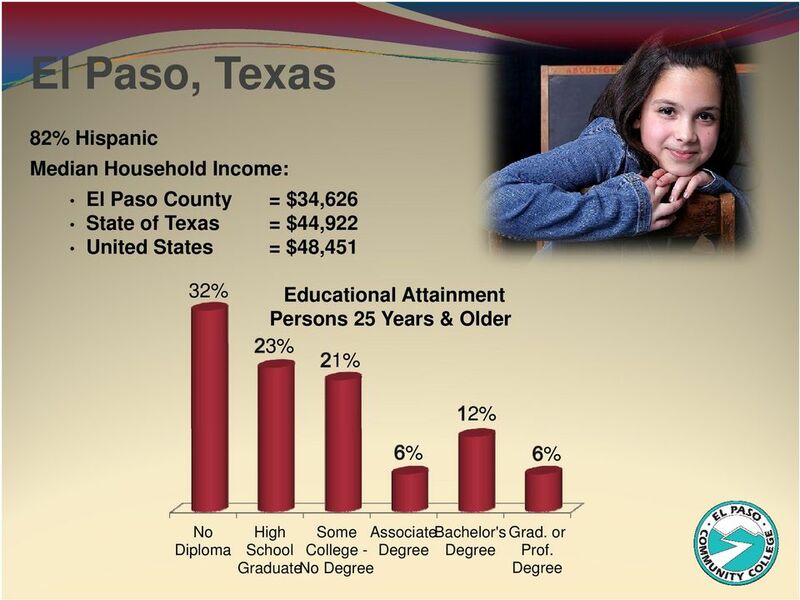 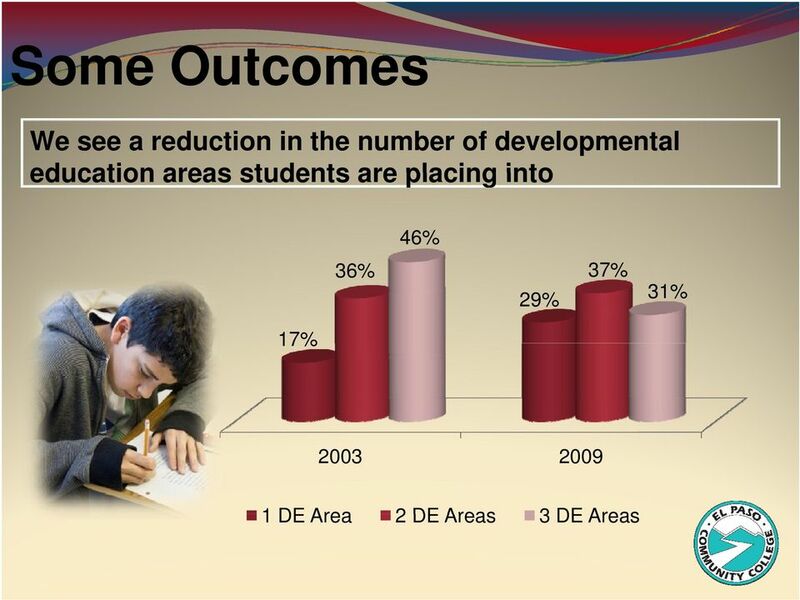 Download "El Paso Community College"
6 Question What is the data telling us? 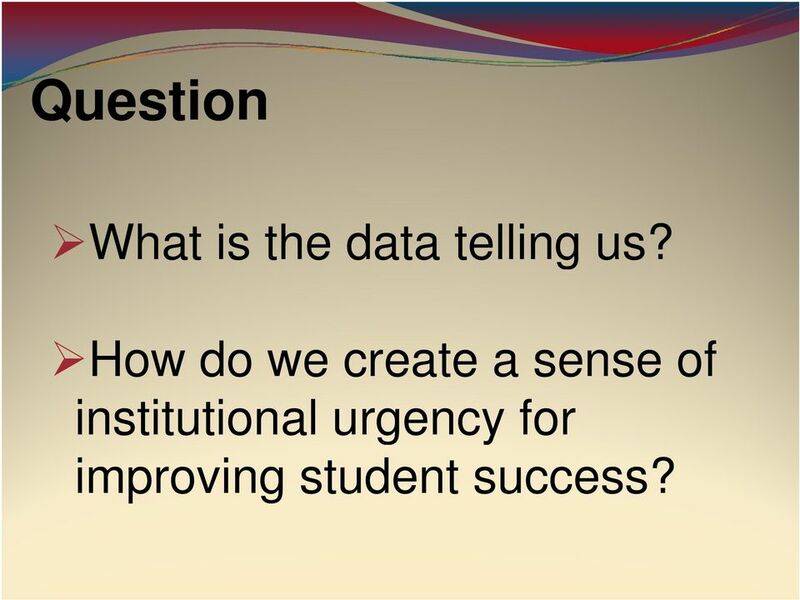 How do we create a sense of institutional urgency for improving student success? 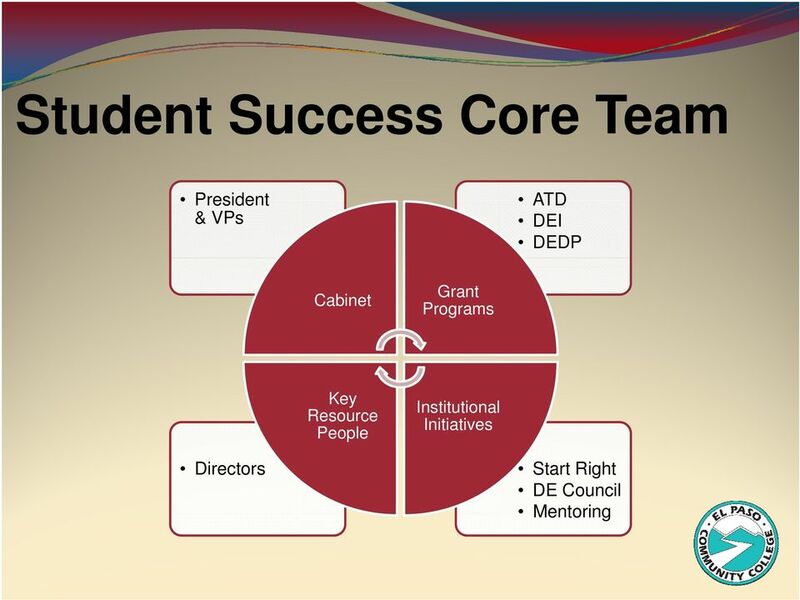 7 Question What internal organizational structures are being used to improve student success? 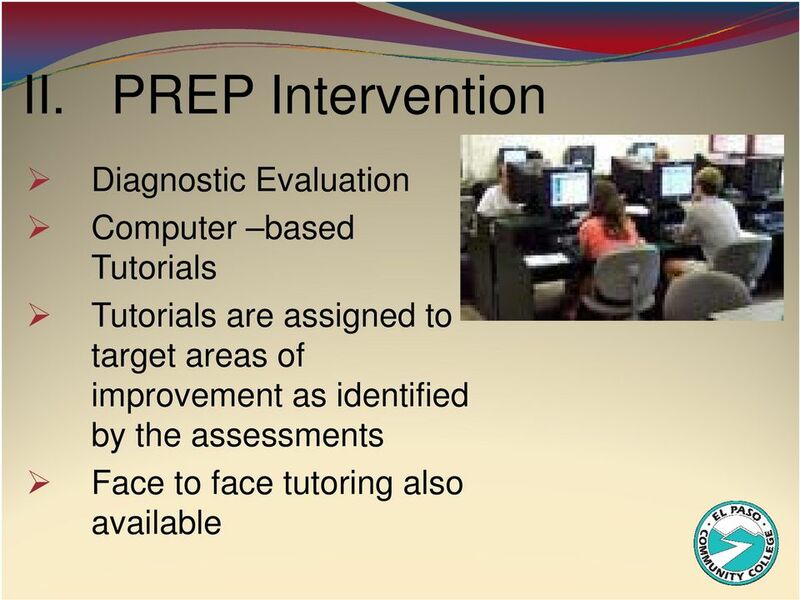 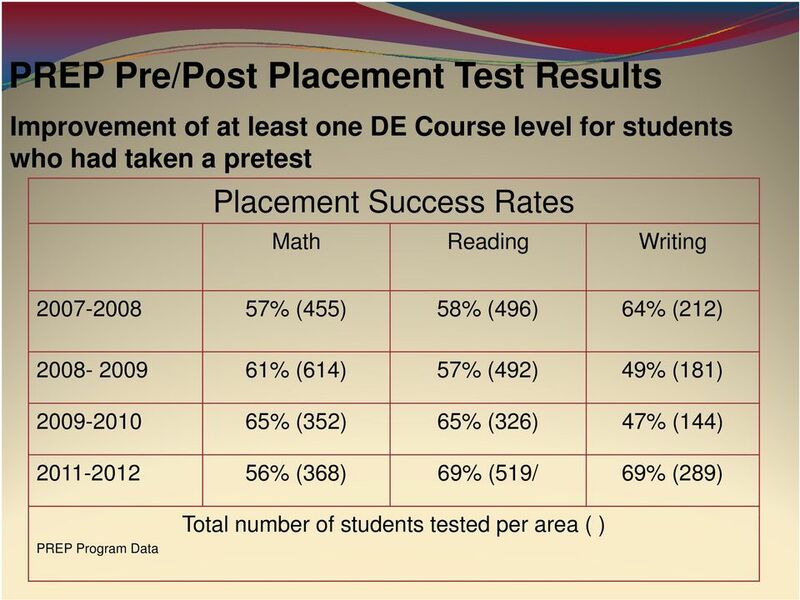 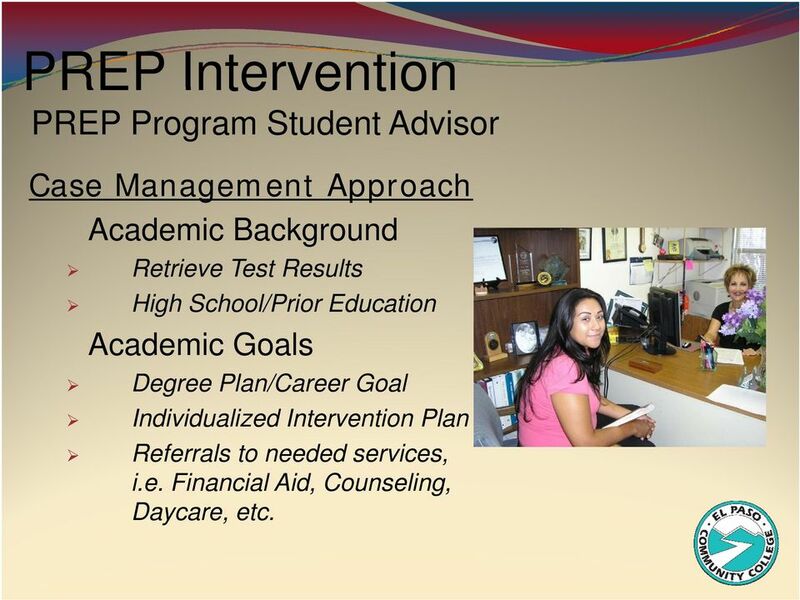 18 PREP Intervention PREP Program Student Advisor Case Management Approach Academic Background Retrieve Test Results High School/Prior Education Academic Goals Degree Plan/Career Goal Individualized Intervention Plan Referrals to needed services, i.e. 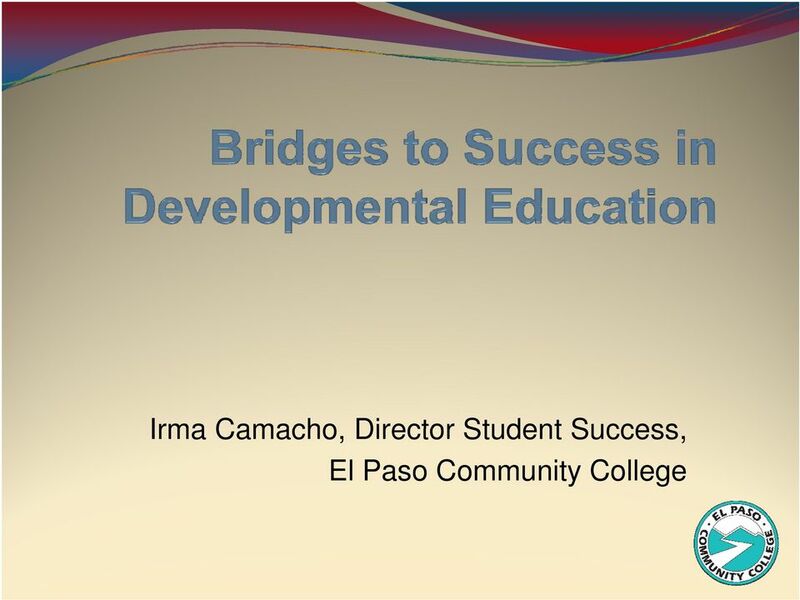 Financial Aid, Counseling, Daycare, etc. 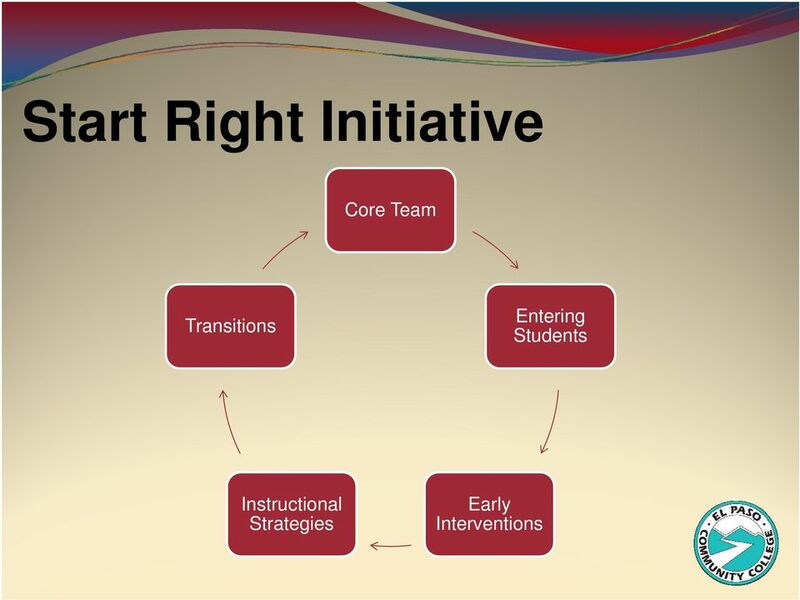 35 The New Mathway Project A systemic approach to improving student success and completion through implementation of processes, strategies, and structures built around three accelerated mathematics pathways and a supporting student t success course. 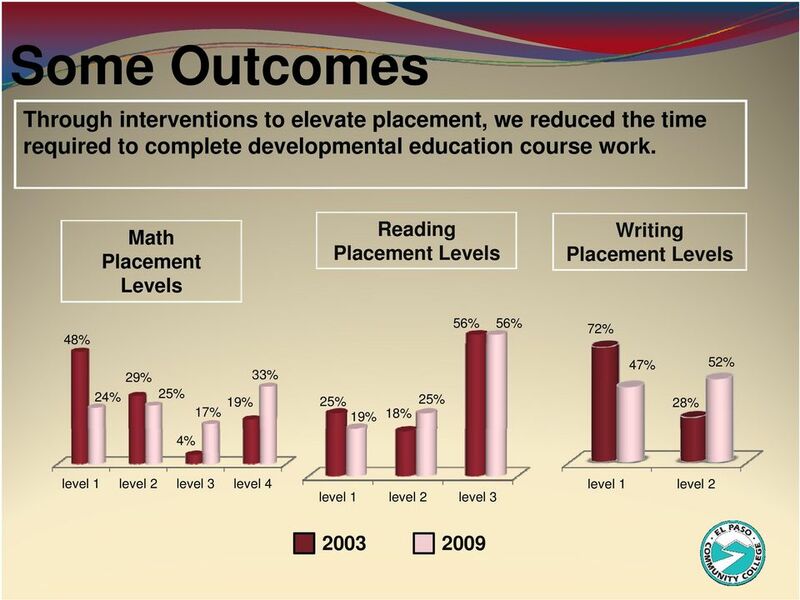 36 The New Mathway Project Three pathways statistics, quantitative literacy, and STEM Students placed into developmental mathematics to complete a credit-- bearing, transferable mathematics course in one academic year or less, Simultaneously building skills for long-- term success in college and life. 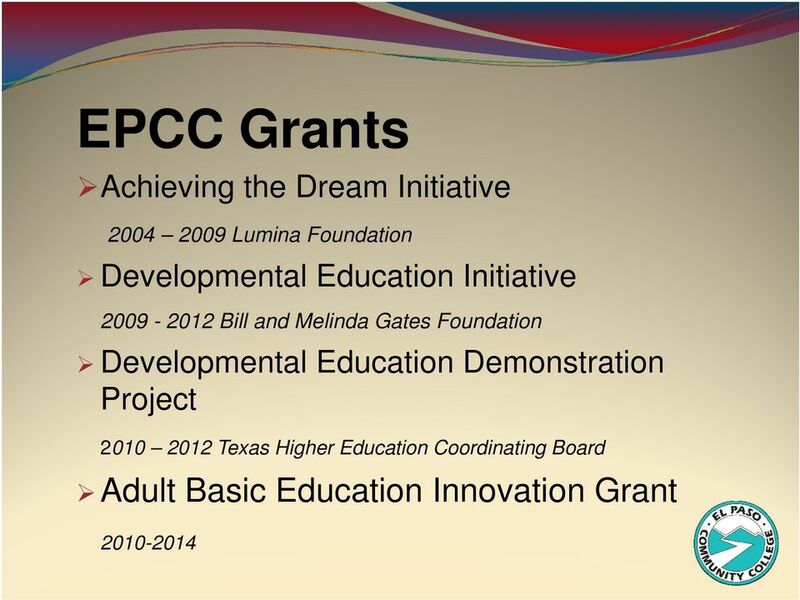 38 Adult Basic Education Innovation Grant Purpose To increase participation and success of ABE students in college certificate and workforce training programs for career path employment in high demand jobs in Texas and/or continued postsecondary education. 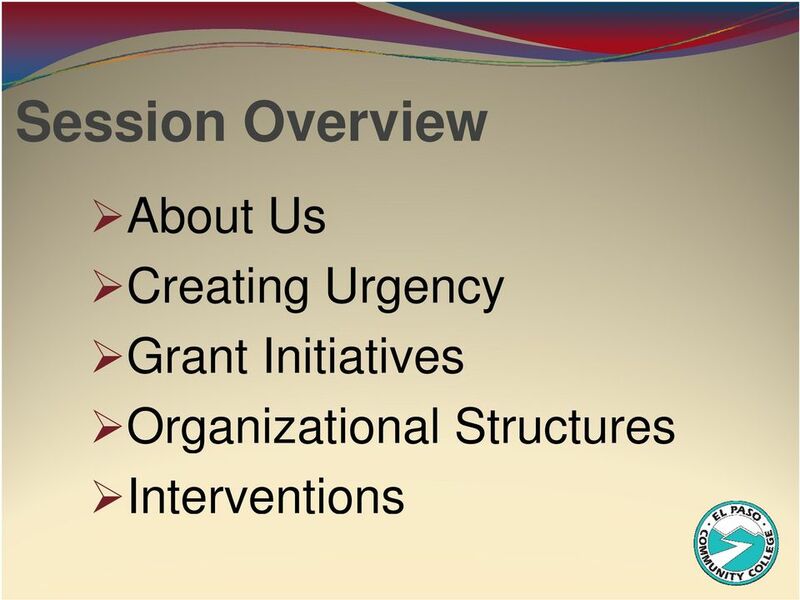 41 Lessons Learned Effective change requires commitment from the highest administrative levels. 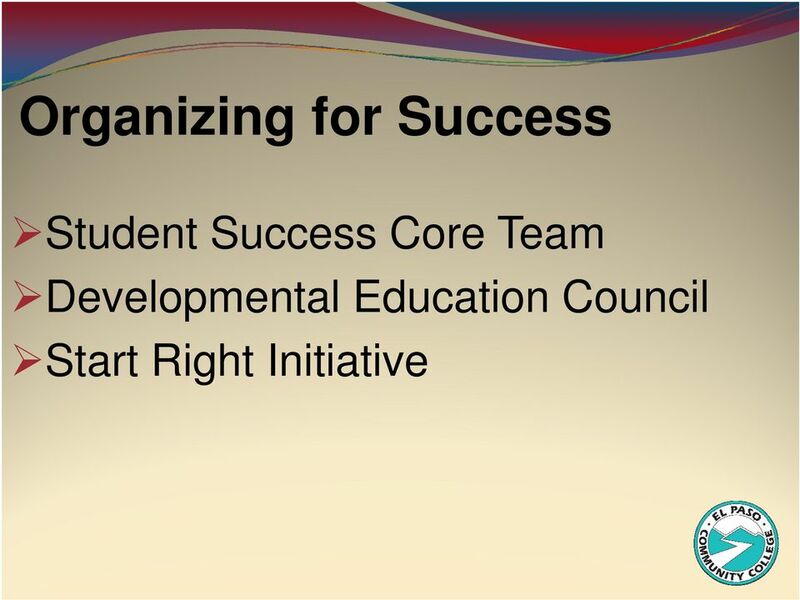 Change also requires buy-in from different constituencies. 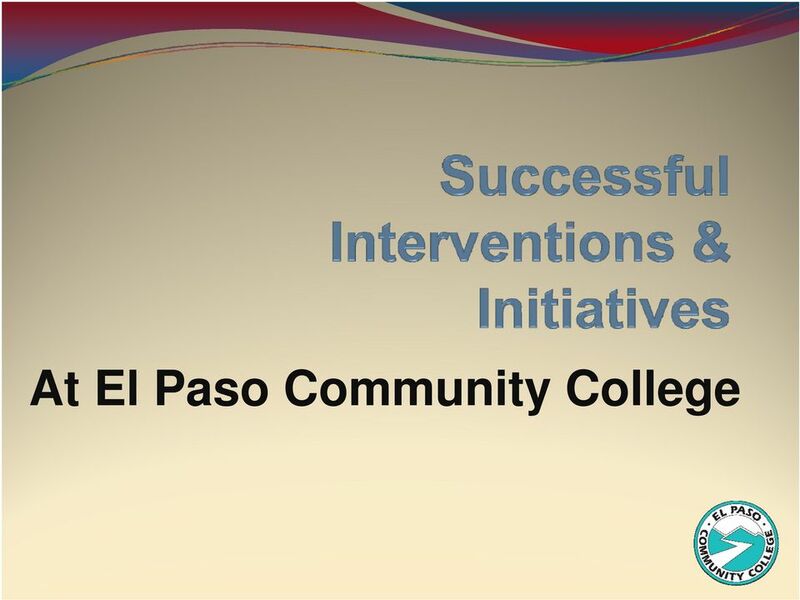 Allowing opportunity for conversation of issues and the need for reform is enhanced by a review of institutional, state, and national data. 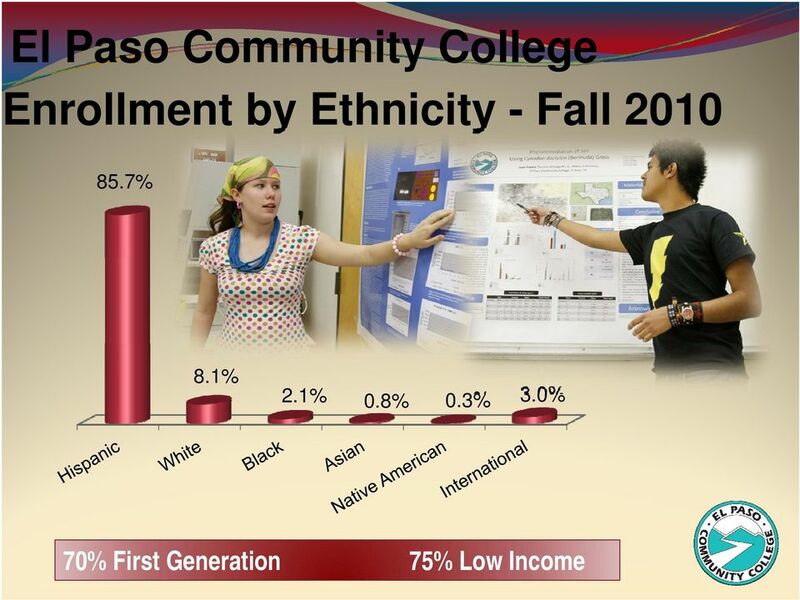 Once you have been admitted, you will be enrolled in a Gateway to College learning community at El Paso Community College. 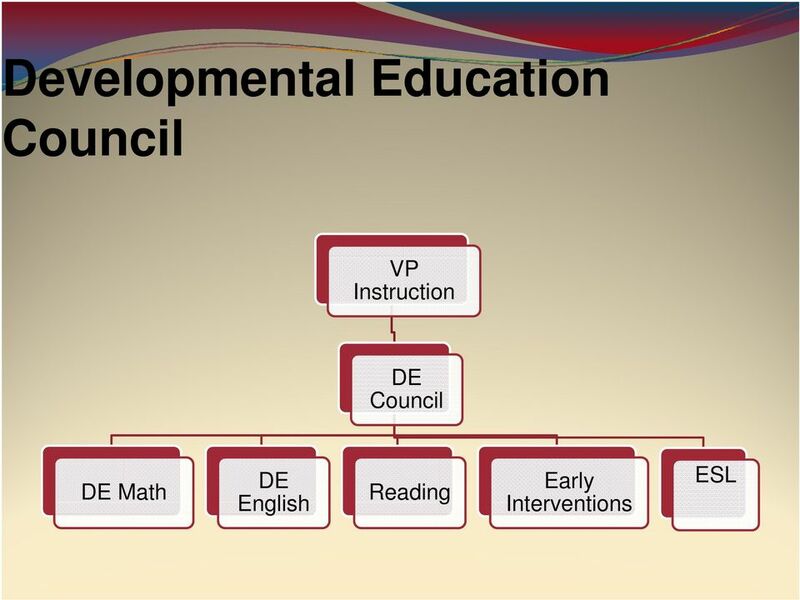 THE MATHEMATICS EDUCATION PROGRAM FOR STUDENTS GRADUATING IN 2017 AND LATER (also see the Math Education web site: www.mathed.soe.vt. 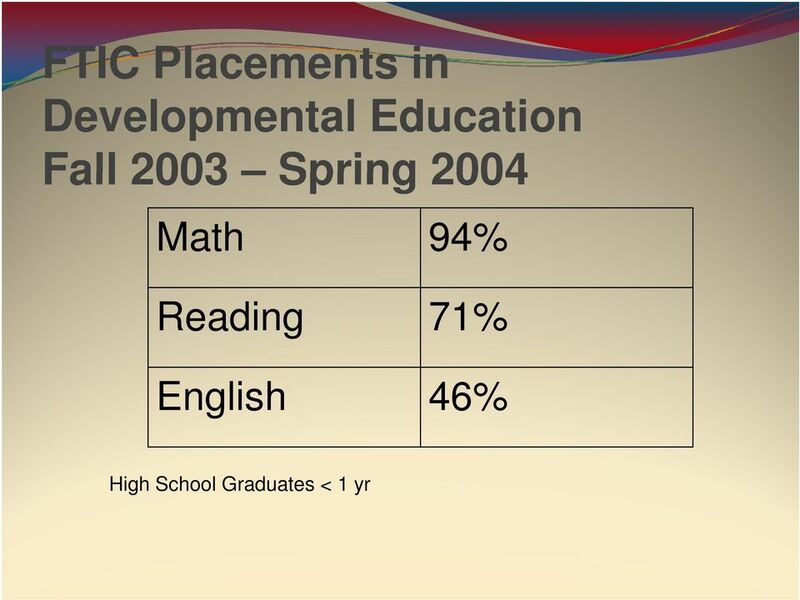 THE MATHEMATICS EDUCATION PROGRAM FOR STUDENTS GRADUATING IN 2017 AND LATER (also see the Math Education web site: www.mathed.soe.vt.edu) 1. 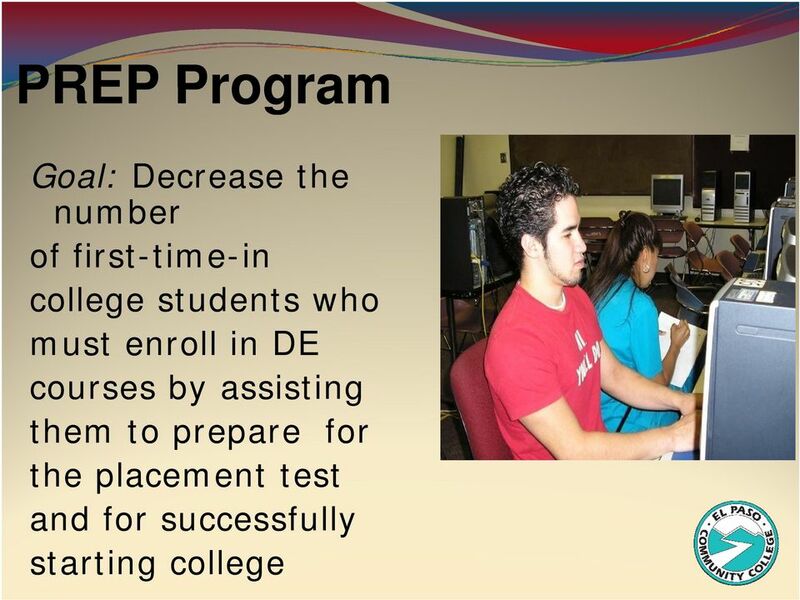 INTRODUCTION Mathematics - Education Option (Math-Ed Program).